Bradford (Park Avenue) claimed top spot in the Vanarama National League North despite being held to a 1-1 draw by Curzon Ashton. The hosts were the first to try their luck, but Connor Hughes sent his long-range effort wide of the post. They were then given a scare when Jamie Spencer threaded through to Jake Beesley, but the forward miscued his attempt to slide the ball into the path of Oli Johnson. Supporters eventually saw a shot find the target when Curzon registered the first of the afternoon. Hughes wriggled away from Mark Ross and made an incisive dart into the box but fired into the midriff of Drench. Bradford made an early substitution in the twelfth minute, introducing former Curzon winger Ben McKenna to the action in place of Johnson. Lewis Knight received his first opportunity of the game when Conor Branson headed into his path, but his volley looped into the clutches of Nash stopper Cameron Mason. The most clear-cut chances of the half both fell to Curzon frontman Niall Cummins, who failed to convert on two occasions. He went one-on-one with Drench after latching on to a long punt but failed to find either side of the goalkeeper. A misdirected header from Nicky Clee then fell at his feet but he poked wide under pressure from a recovering Gianluca Havern. Nicky Wroe found Beesley with a corner delivery, but the two sides headed into the break level after the forward directed his effort into a sea of bodies. Bradford made a quick start to the second-half, carving Curzon open with two neat exchanges between Spencer and Knight. McKenna then saw a shot blocked by Mason Fawns after being teed up by Beesley. Wroe pulled the trigger from distance and came within a whisker of finding the top corner, seeing his effort narrowly rise over the woodwork. The deadlock was eventually broken when Beesley connected with a free-kick delivery from Knight and directed a header past a helpless Mason. Curzon, however, were back on level terms just four minutes later when Crankshaw latched on to Ryan Brooke’s pass and poked past Drench. With the wind in their sails, the hosts began to pile bodies forward and Hughes was unlucky to see his strike from the left-hand side fly wide. The affair became a cagey one as it progressed into its latter stages and neither side could find the spark required to unlock the opposition’s defence. With three minutes remaining on the clock, chaos descended on the Tameside Stadium as all 22 players and staff came to blows. Bradford’s coaching staff and players alike were infuriated to see a foul on Spencer go unpunished and Curzon were incensed when the midfielder reacted by fouling Daniel Morton. Shane Killock, Spencer and Morton were all booked for their involvement in the fracas. Curzon Ashton: Mason, Rowney, Fawns, Hunt (c), Morton, O’Leary, Crankshaw (Wall 90+5′), Ali, Cummins, Brooke, Hughes (Khoury 75′). Unused substitutes: Merrill, Muir, Boyles. 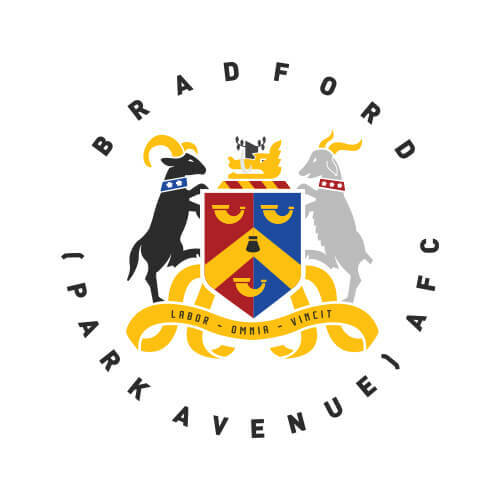 Bradford (Park Avenue): Drench, Ross, Clee, Wroe (Hurst 69′), Killock (c), Havern, Spencer, Branson, Beesley, Johnson (McKenna 12’), Knight. Unused substitutes: Toulson, Atkinson, Nowakowski.